I am posting this less because of Lin-Manuel Miranda and more because the Untied Palace theater is a cool place to see a concert or a movie. An old movie palace it was a vaudeville house and a church. Lin-Manuel Miranda continues his longstanding support of movies at the United Palace in Washington Heights with a $100K donation for a new DCP projection system that will produce a Hollywood-quality image. He will debut the new projector on October 16 with a screening of the original Mary Poppins, which he will introduce. The classic 1964 Disney movie has been selected because later this year Lin-Manuel Miranda is temporarily relocating to London to begin shooting Mary Poppins Returns. Audience members at the United Palace on October 16 will have an opportunity to say bon voyage to Miranda, to thank him for his support, and to join with him in helping the Palace launch Reawaken Wonder at a Timeless Movie Palace – a fundraising campaign to revitalize the classic movie-going experience. The goal is to raise an additional $300,000 to upgrade the United Palace audio system and complete the rebirth of the iconic movie theatre that originally opened in 1930 as the Loew’s 175th Street Theatre. In addition to the kick-off event with Lin-Manuel Miranda, there will be a series of activities at the United Palace during the fall and winter, as well as an Indiegogo crowd-sourcing effort to engage the community and complete the campaign. Before the movie there will be a champagne toast with Lin-Manuel for a limited number of people who donate at least $1,000 to the campaign. They will also be invited to a backstage after-party and receive other Palace-related perks. When the Reawaken Wonder at a Timeless Movie Palace campaign concludes, United Palace will have a comprehensive sound upgrade installed and will celebrate with a blockbuster rescreening of 2001: A Space Odyssey, the last film screened in the United Palace in 1969 before the venue was purchased by Reverend Ike. The goal is to officially unveil the theatre upgrade in early 2017. 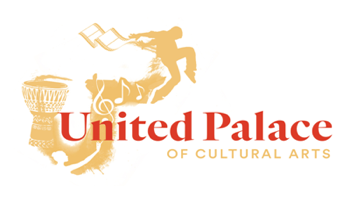 The United Palace of Cultural Arts (UPCA) is an independent 501(c)(3) nonprofit founded in 2012 as an arts and cultural center at the United Palace, a transformational organization and venue that fuses culture, spirituality, and entertainment in Manhattan's 4th largest theatre. UPCA is dedicated to strengthening the mind and spirit through creative expression and play. As a community resource, we provide access and exposure to progressive programming, including cultural events, arts education, movie screenings and community space that empowers the individual to nurture the artist within and emboldens children, adults, and families through exploration and open exchange. Tickets for the October 16 event are available at www.unitedpalacearts.org.